I have an offer in on a used German Contra, but if that doesn't go through, I'm going to buy a wessex. I just can't make myself get trapped in JIm laabs customer service hell. The wessex is more expensive, but I know Jonathan will take care of it if something goes wrong. I'd bet you could get a free upgrade to a "Matt Walters look-over". Damn you Mark!!! The more I see pictures and the more I hear, the more I want one!!! I can't look away. That link to the Dillon horn makes it look like a weapon of mass destruction. All I can think is "excuse me while I whip this out" and "Hulk Smash". 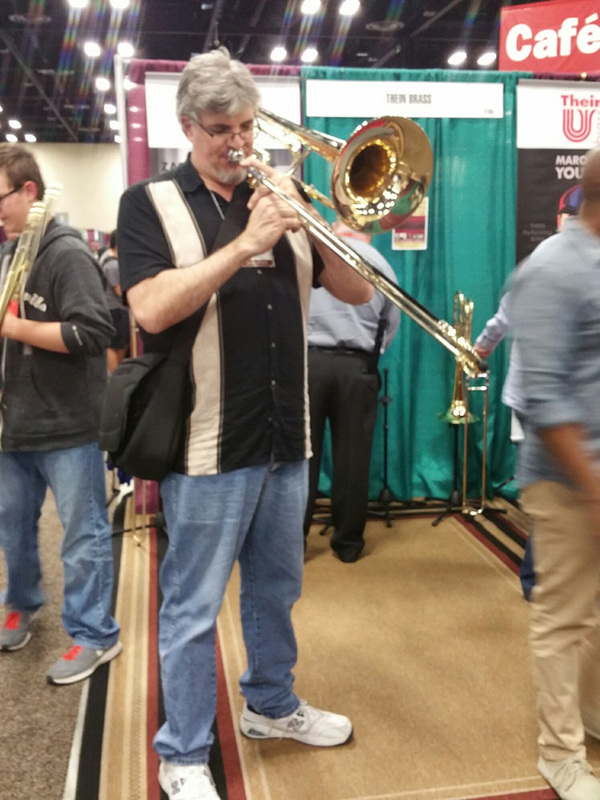 here a pic of me playing one. It looks rather normal in my hands, but I'm 6 foot 8. Damn!!! That almost looks like a small bore tenor in your hands!!! It looks like I am watching the same videos as you. This is my family. My wife is on soprano, I'm on Alto, My daughter is on Tenor, and my son is on bass. If we do this again, I guess He'll play the contrabass. I would, but his main instrument is percussion, and secondary is Tuba. 58mark wrote: This is my family. My wife is on soprano, I'm on Alto, My daughter is on Tenor, and my son is on bass. If we do this again, I guess He'll play the contrabass. I would, but his main instrument is percussion, and secondary is Tuba. Saw that one on your Facebook page. So cool that you can do things like that with your family. My kids never really got into music but I did grow up in a family of 7 kids and four of us were brass players and all of us played more than one instrument. 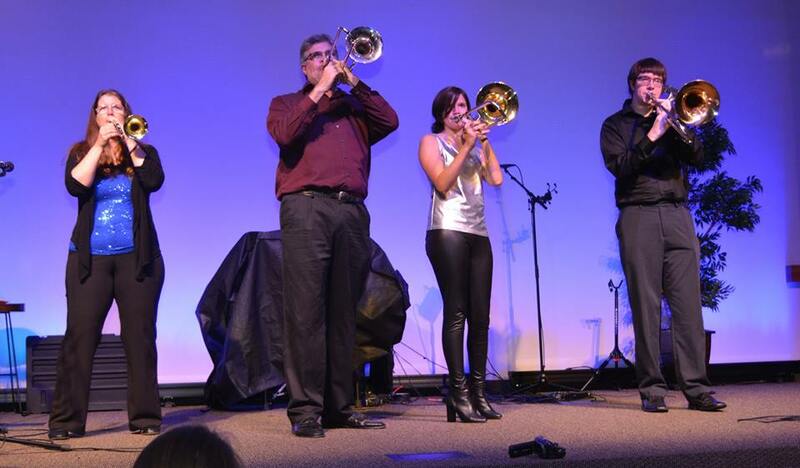 We always had fun playing Christmas gigs and small ensemble stuff at church. I miss those days. Still waiting on the results from the offer on the German horn, really hoping the seller accepts it. Wessex is out of stock of the contras for a couple of weeks, so even though the Eb is sold and I have the money burning a hole in my paypal account, I have to be patient. 58mark wrote: Still waiting on the results from the offer on the German horn, really hoping the seller accepts it. Wessex is out of stock of the contras for a couple of weeks, so even though the Eb is sold and I have the money burning a hole in my paypal account, I have to be patient. I almost traded-for/bought a German double-slide BBb contra a number of years ago. I just couldn't commit to it. As this isn't tuba related, should it not be in the offtopic section? 58mark wrote: Just ordered the wessex! Congrats!!!! Can't wait to see it!! !